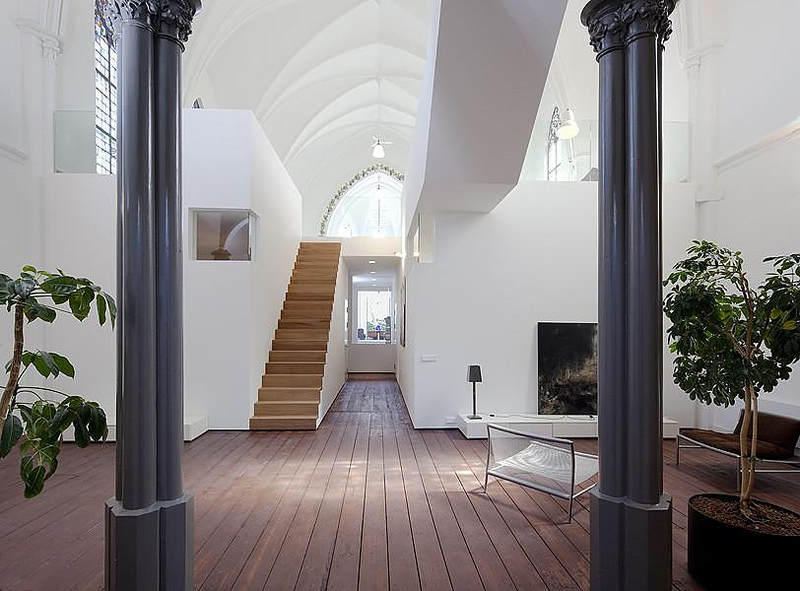 HomeBlogArchitectureChurch Residence by Zecc Architecten Utrecht. 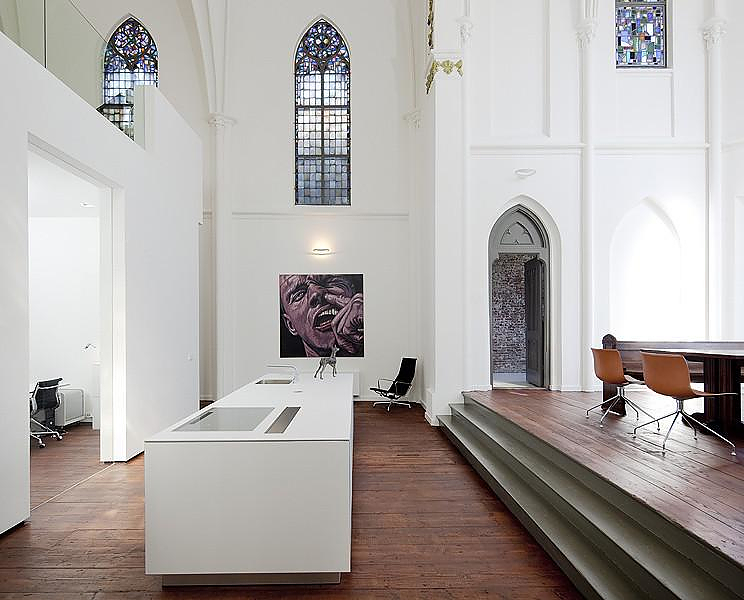 Church Residence by Zecc Architecten Utrecht. 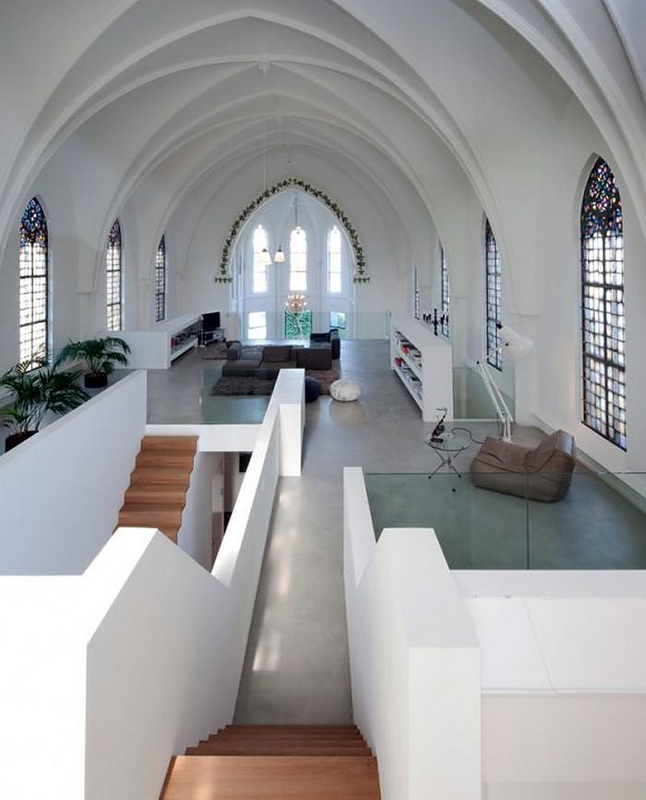 Dutch architects Zecc Architecten realized an innovative housing project, they converted a century old church into a modern minimalist residence. Living in a church is no longer an exclusive privilege of the clergy as it appears. Since 1970 more than a thousand churches in the Netherlands have closed their doors to the public. Most of them have been demolished, however some were kept intact, initially adapted as cultural centers for the community. 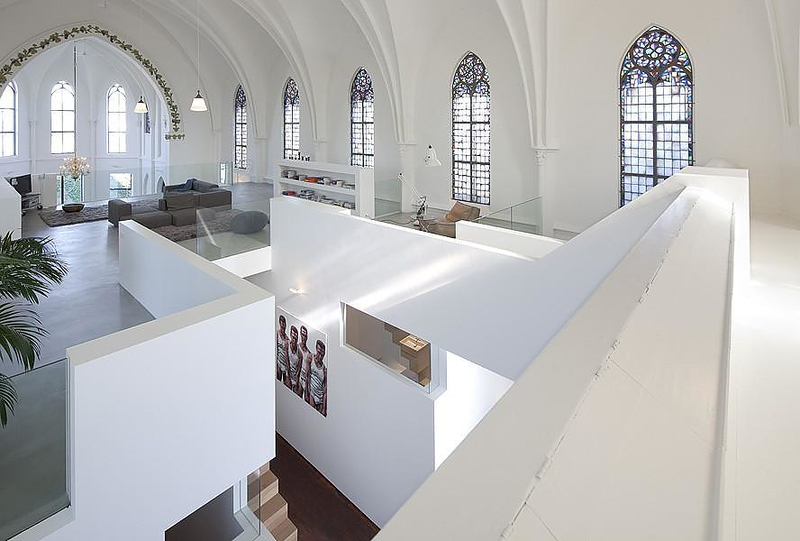 Now there is an expanding trend to renovate these old churches and transform them into modern residential spaces. 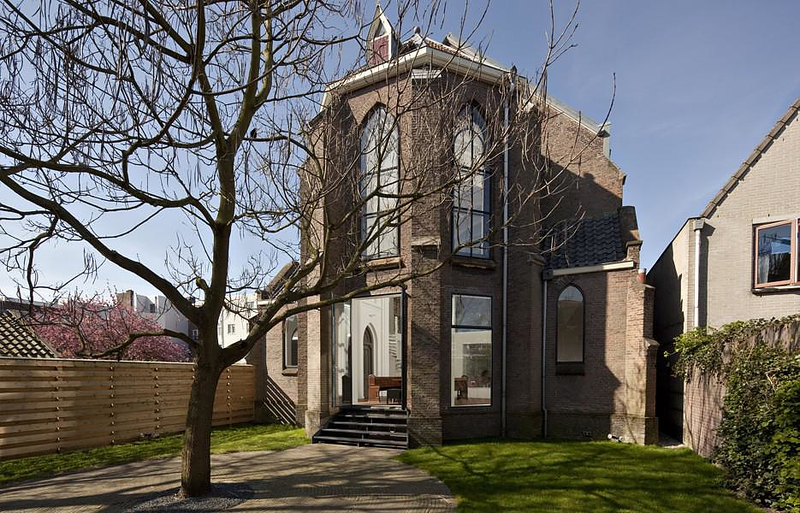 This particular church is the Church of St. Jakobus in Utrecht, built in 1870. 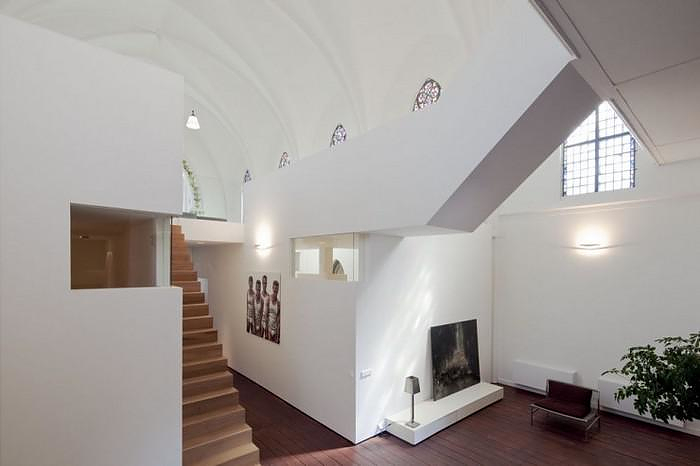 Zecc Architecten transformed the cold church into an ultra-modern house, while at the same time emphasizing and maintaining the spatial an architectural qualities of the temple. 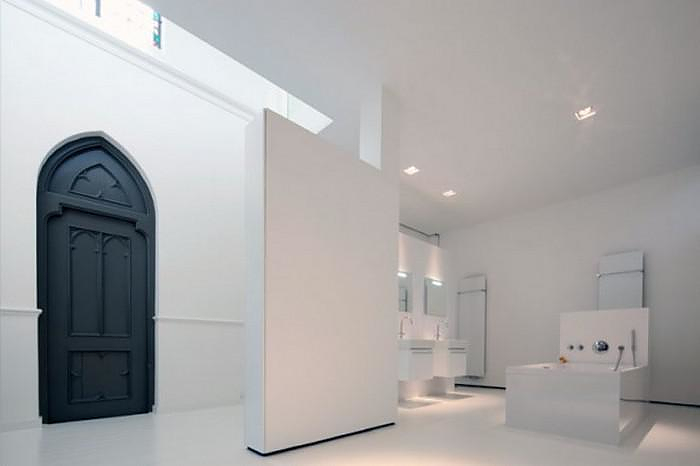 The temple of St. Jakobus was deemed closed in 1991, being alongside the channel Bemuurde the space housed an antique store until 2007 when the new owners decided to transform the space into their private home. 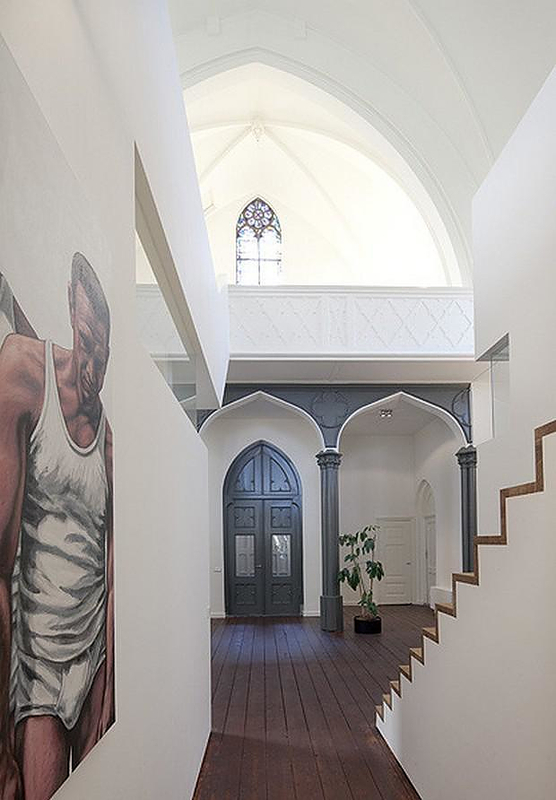 The project was commissioned to architectural studio Zecc Architecten and the decoration to interior designer Thomas Haukes. 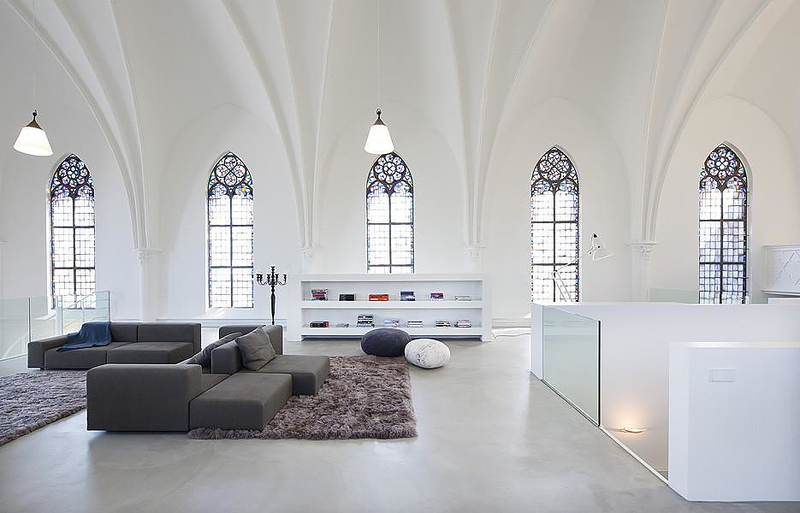 With a total area of 475 m², a majestic domed ceiling and all the Gothic details found in a 18th century church the space was an ideal scenery for some very creative work. The church had its facade fully restored according to the original drawing. Inside instead of partitioning spaces the architects chose open environments. 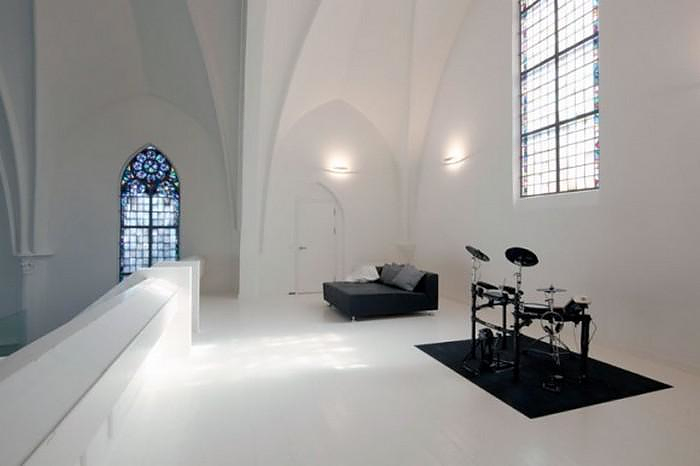 Thanks to this, the meditative and spiritual climate was maintained, but with a modern minimalist touch. In order to keep the façade of the church undamaged, no window frames are added to the façade and the inside of the enormous church is seen as an exterior space. In this way internal patios in the inserted floors are realized to provide the underlying function with day light. The whole set-up is utterly minimalist, yet discreetly elegant. The immense living room located in the first floor is an impressive open space full with natural light which maintains flawlessly the original value of the church’s architecture. The part of the building in the ground floor where originally the altar was, is transformed into a dining room and a kitchen, while a stretch of the mezzanine was demolished and now houses the rooms, office and bathroom. However the most challenging part of the project was to bond the old and the new. The colorful antique-styled glass windows were maintained, the original hardwood floors were restored and the massive wooden doors were refurbished. 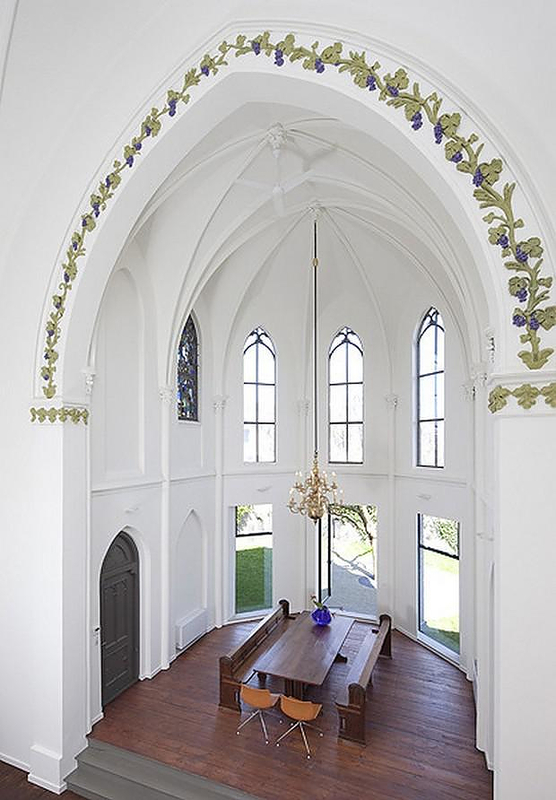 Combined with the old-fashioned columns, the imposing arches are the other religious building details this residence is unique amalgam of traditional and contemporary. 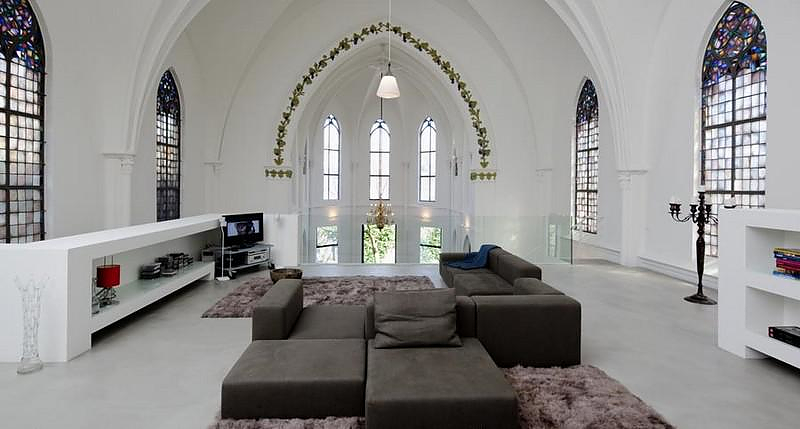 In this unique Church Residence the old and the new dialogue through all these amazing details. 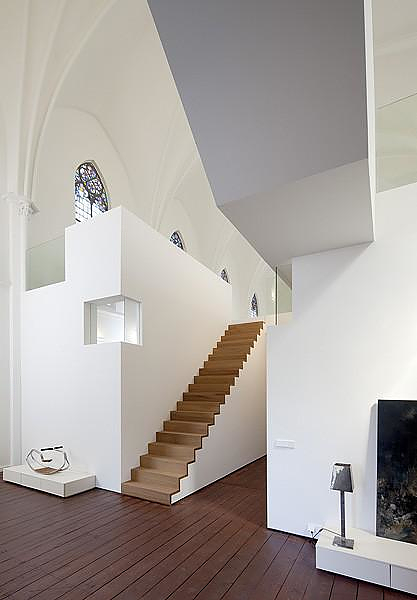 Santa Monica Parish Church by Vicens & Ramos. 18.36.54 House by Daniel Libeskind.